Or maybe you have seen one of these collections of pressed plant materials and wondered what it is used for beyond personal memories. Herbaria are not only beautiful; they are useful tools in botany. And they have a fascinating history. In their beginning, herbaria took the form of books created by merchants as a means of showing off their wares. 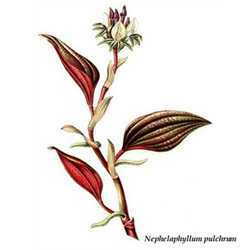 In the times predating the middle ages (when the practice of collecting and pressing plant samples began), communities were much more isolated than they are today, and there was no standard botanic naming system (credit for that innovation goes to Carl Linnaeus, who first used binomial nomenclature in 1753). 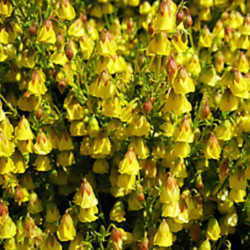 This led to the same plant receiving a plethora of common names. For instance, Gaillardia pulchella, a wildflower that grows prolifically here in Texas, is more commonly known as firewheel, blanketflower, sundance, Indian blanket, or fiesta daisy. This is harmless and colorful - not to mention a credit to the imagination of people trying to make sense of the natural world -- and only adds to the depth of appreciation I have for this wild beauty. This plant naming confusion also goes the other way around, with two very different plants receiving the same common botanical name. For example, Calendula officinalis and a number of Tagates species both go by the name marigold. Calendula is prized for edible flowers that were once a common pot herb for salads. Tagates marigolds are cultivated to deter garden pests and for distillation of an essential oil for the perfume industry (this oil is also used as a colorant and flavoring agent outside the US). Can you imagine the look on your dinner guests' faces after the first bite if you put the wrong kind of marigolds on the table? And don't even get me started on plants like Mexican oregano, which isn't related to oregano at all, but shares some of the same flavor characteristic. Of course, these are trivial matters. But suppose I were sick, and I wanted to buy an herb for medicinal purposes (and most of the plants considered worthy of commercial trade when herbariums first came into use were medicinal). If I and the person selling the herb were using the same common names for different plants, I might buy something that was not effective for my illness - or even worse, something toxic. Enter the herbarium, which these traveling merchants could carry from place to place to present an actual sample of the plant so that the buyer could compare the leaf shape and pressed flowers to his mental plant database. From these commercial beginnings, herbaria soon became the tools of early botanists, allowing them to trade and archive information effectively. Today, an herbarium may take up an entire building, but the individual samples remain much the same. I visited the herbarium housed at the Botanical Research Institute of Texas (right next door to the Fort Worth Botanic Gardens, where my herb society meets). BRIT defines herbaria thusly: "A herbarium is a museum of preserved plants that are used for botanical research. Each herbarium specimen is made up of a dried plant, mounted on archival paper, and affixed with a label providing descriptive data. 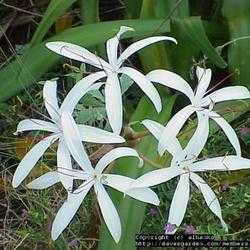 Herbaria across the globe provide a permanent record of the diversity of the Earth's flora." More boradly an herbarium can include either a book for the same purpose or even the individual specimens themselves. BRIT's herbarium has rolling stacks where you turn a wheel to part the shelves enough to walk between them and find what you are looking for. It is like being in a library of pressed botanicals, and the room is carefully controlled regarding temperature and humidity (around 68 degrees and 50%, in case you are interested). The specimens are stored in such a way as to minimize light exposure. According to Collections Manager Tiana Rehman, there are over a million specimens, making BRIT the 12th largest herbarium in the United States. And it just happens to be in my back yard! I was also able to visit the work area, where staff were processing pressed plant materials. They are careful to use archival paper and adhesives, and to show due care with the fragile dried plants. Rheman says, "Some herbaria even sew their specimens onto a sheet of paper to avoid the use of glue, but this is a practice that BRIT has rarely employed." 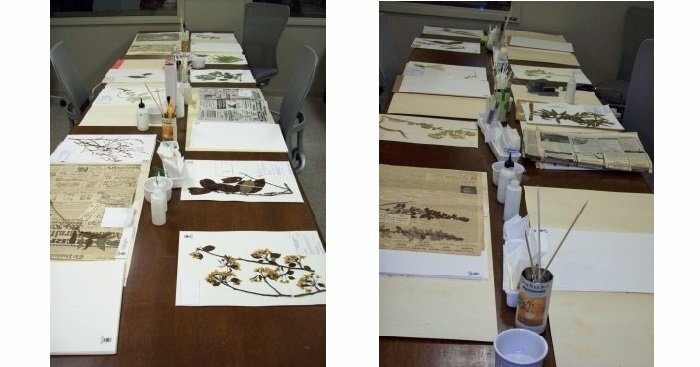 One of the things that differentiates a herbarium from just a collection of dried flowers is the care taken to identify critical things about the plant. When was the plant found, and where? Who found it? At what altitude does it grow? Are there special conditions relating to its habitat? What were its colors before drying? These questions must be answered and the answers recorded for each specimen. If possible, the leaves, flowers, seeds, stems, and fruit of a plant should all be mounted together. While Rheman seemed excited about BRIT's project to digitize parts of the collection, she noted, "Photography has made these specimens even more valuable and accessible, but they are definitely not a substitute for the actual specimen!" This information can be used in research, or in creating a field guide for a specific geographic area. But just how do researchers use it? Rheman says, "These specimens are looked at under light microscopes, but also looked at using electron microscopy which literally allows us to approach magnifications of up to 10,000,000 (yes, that is the correct number of zeros!). For particular research projects, we have allowed scientists to remove portions of the plant specimen from the sheet, and these samples have been used to look at chemical composition, genetic make-up, and microscopic morphological characteristics, just to name a few possibilities." Rheman also notes another way specimens can be used: "While it is true that new plant species are being discovered all around the world, it is not commonly known that new species are regularly described from the cabinets of a herbarium. Only in a herbarium are you able to look at hundreds of examples of a particular plant species, across its area of distribution and across time (the BRIT herbarium has a specimen collected over 220 years ago! ), and then able to notice subtle differences. In some cases those subtle differences chalk up to morphological variation, but in other cases this is how you discover new species lurking in what was believed to be a single species." Is there an herbarium near where you live? Make a plan to visit it soon. If not, you could start a collection of local plants. After all, it is still an herbarium if it fits in a single book.